The IMD Switzerland MBA is a very unique program. While the one-year program is considered to be very intense and rigorous, packing in the content and learning of a normal two year program in half the duration, the interview process is even more so. This is not your typical MBA interview – the IMD Switzerland MBA interview has five distinct phases. You don’t just attend the IMD Switzerland MBA interview – you attend the IMD Switzerland MBA interview day! This is nothing short of an event. The amount of preparation required for this event is rigorous and extensive. This is the story of how SM prepared meticulously and rigorously for the interview process at IMD and made it not just her day, but her year. The typical IMD Switzerland MBA interview has five phases as follows: a personal interview (45 minutes – 1 hour), an impromptu presentation (5 minutes), a case discussion round (case sent to participants two weeks earlier), lunch with IMD alumni, and an MBA class observation session. These phases are not necessarily in order, and the last one is more about observation than participation. 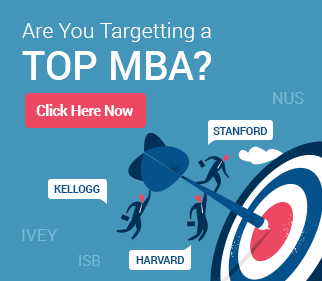 The overall process is quite long, rigorous, and intense and is easily the most complex of all MBA admissions interviews for top programs. 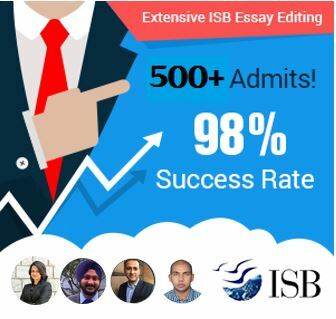 While SM handled the first phase of the application (essays + profile details) well to secure an interview call, she was now unsure of how to tackle the IMD MBA interview process. After all, she had no background in consulting, and consulting skills would definitely have come handy in the presentation and case discussion rounds. She was also unsure what she should contribute in the class observation session, and what the lunch with alumni on campus with involve. 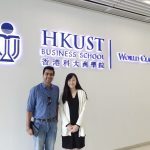 Finally, but not the least, there was the personal interview – a full blown interview that would normally be the only interview requirement at most other MBA programs. At GyanOne, the first step for us was to explain to the applicant how the interview process works. It was important for us to bring out that though the process was long, she would enjoy it if she just took the stages one by one. The next step, though, was helping the applicant master some of the skills that would help her to ace the IMD interview process. Over the next few days, SM worked with us to hone her case analysis skills in general. Going over a wide variety of case analyses, she learned to bring out not just the key information but also the key insights from business cases. The first few days were difficult, but SM, being the smart lady that she is (no wonder she got through IMD!) picked up the skills soon. In the initial phase there were quite a few disagreements as we reasoned through the cases together. Why this point? Why this perspective? Why can’t X be possible? Why is Y the most probable? These were some of the common questions we learned to tackle together as part of the preparation. We stress-tested her with a couple of difficult cases but she was able to do a good job on both and was ready for the case analyses part. The next part was the impromptu case presentation. 5 minutes is hardly enough time for anyone to do a very thorough analysis on any topic, but we went through some common topics together. The key here was to be able to bring out a few points and present them well, rather than get lost in bringing out more and more information. The personal interview preparation part was the last. IMD is known to be quite particular in its questions around fit and goals, so SM’s preparation needed to go well beyond just short explanations for these questions. Through feedback, revisions, and discussions, she was able to gain a high level of confidence around most questions on her profile. Finally, how does one prepare for alumni interaction or class discussion? By being oneself! As we went through the points of preparation and communication for the alumni lunch and the class visit, SM realized that these stages were about being herself and communicating clearly to alumni why she had chosen IMD for her MBA. This was not an interview, and she did not need to hanker to put across her views. It was more of a confirmation than a rigorous assessment of her candidature. D-day arrived soon and all of us were waiting anxiously for SM to return from the IMD Switzerland MBA interview day. The news we got wasn’t all positive – SM felt that she did not do as well as she hoped on at least some points. The final results that came in a few days later told a different story though – she was in! 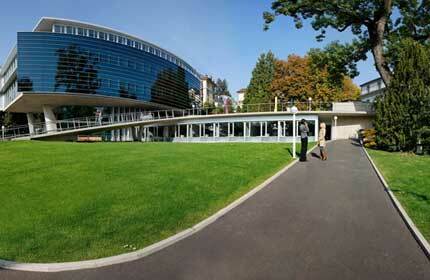 SM had made it to IMD Switzerland – her dream destination for an MBA! The points of learning from the story are around preparing hard for the interview, as we have outlined in an earlier post. They are also around developing and practicing skills needed in the interview rather than the exact topics and questions (which cannot be foretold anyway). Last, practice also helps you develop the stamina that you will need for a long-drawn interview process such as that at IMD. I always want to study in switzerland.but couldnt find d right option..but aftr going through this i think this is one of the better opprtunity i hv to catch..